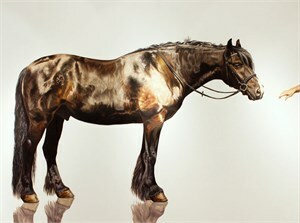 Julie Ferris is an equine portrait painter whose goal is to portray the strength & beauty of each subject. Ferris explores the symbolism, history & the highly unique relationship humankind & the horse have shared over thousands of years. Although the purpose & necessity of the horse has changed over the last century, their cultural presence & bond with humans remains strong. 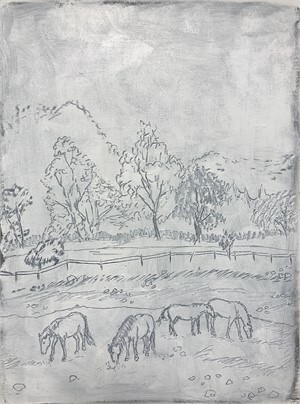 In her new life-size equine portrait, Ferris touches on the building blocks of a relationship, concentrating on the initial interaction between horse & human. 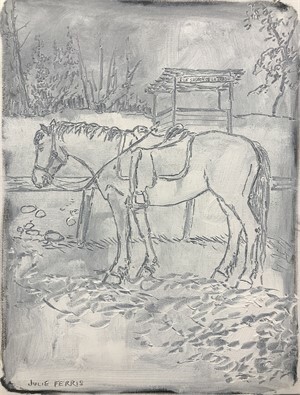 An Atlanta native, Ferris received a BFA in Painting with a Minor in Equine Studies from the Savannah College of Art & Design in Savannah, Georgia, where she also competed on the IHSA SCAD Equestrian team. Julie Ferris is an equine portrait painter whose goal is to portray the strength & beauty of each subject. Ferris explores the symbolism, history & the highly unique relationship humankind & the horse have shared over thousands of years. Although the purpose & necessity of the horse has changed over the last century, their cultural presence & bond with humans remains strong. In her new life-size equine portrait, Ferris touches on the building blocks of a relationship, concentrating on the initial interaction between horse & human. 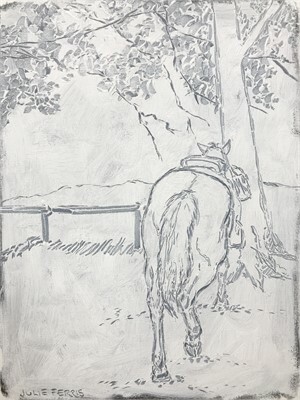 An Atlanta native, Ferris received a BFA in Painting with a Minor in Equine Studies from the Savannah College of Art & Design in Savannah, Georgia, where she also competed on the IHSA SCAD Equestrian team.